Oahu Property Management LLC, dba Real Property Management Alliance is the local expert for residential property management services on the island of Oahu. 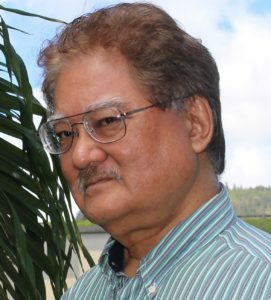 Michael A. Arashiro is the General Manager of Oahu Property Management LLC, dba Real Property Management Alliance. Michael has over 40 years of real estate experience in Hawaii and has been a licensed real estate broker since 1981. Prior to joining Real Property Management Alliance, Michael ran a real estate consulting firm providing various real estate consulting services to Hawaii real estate owners and investors including some of the largest landowners in Hawaii. Michael has a business degree from Hawaii Pacific University and an MBA from Pepperdine University. Setting the standard for professional property management services. Our mission is to provide the highest quality of property management services on the island of Oahu. We love our island home and want to make sure that every owner of rental property on Oahu has a qualified professional managing their property. Integrity: We say what we mean and mean what we say. Our yes is yes, and our no is no. We hold ourselves to the highest levels of honesty and integrity. Excellence: We strive to be the very best at all that we do. We will provide the highest quality property management services on the island of Oahu. Aloha: We treat others how we want to be treated. We are professionals and treat all we do business with – with respect and aloha!